Over the course of the last several months a couple of Melbourne meet-up groups have established an ongoing community. I have been lucky enough to be a part of this process. 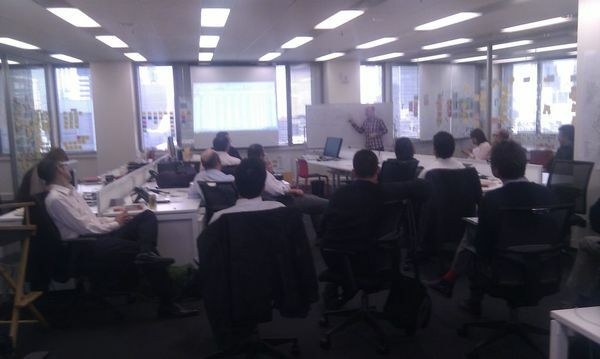 The two groups are called Agile Business Analysts and the Melbourne Scrum User group. I thought I would share my experiences working with this group over the year. The Scrum group existed before I got to Melbourne. I found it as a result of wanting to find some like minded folks and potentially network myself into some interesting work. Unfortunately it had fallen dormant after the previous leader, Martin Kearns had become too busy to actively make stuff happen. The first session I organised (via Meetup.com) was held concurrently with the Limited WIP society at the local Thoughtworks office. At that meeting I met David Joyce who was facilitating the Kanban/Lean discussion. I grabbed the dozen folks interested in Scrum and thought we might create a backlog of things to talk about and do in the future. At that session I also met Geoff Burns, a local ACS activist. 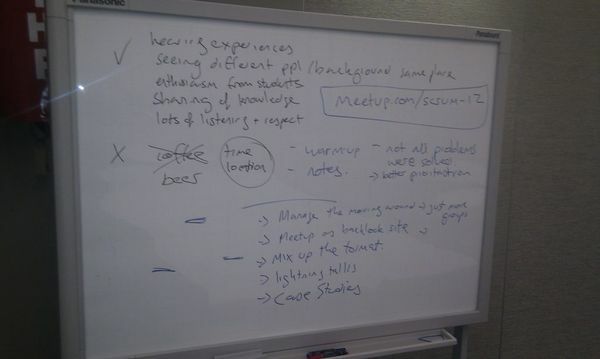 As an activist Geoff got active in helping me promote the scrum meet ups via ACS. 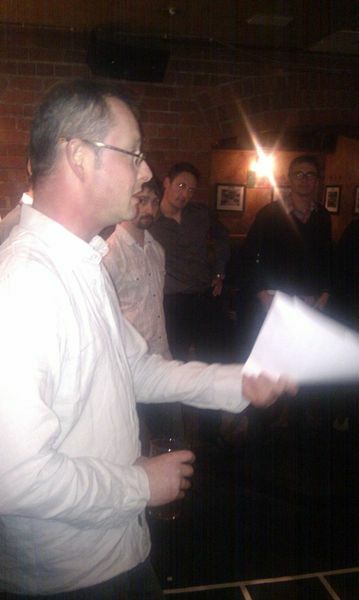 Geoff organised a corporate theatre and I pulled out a talk about 'agile project initiation.' It pulled a largish crowd of about fifty, many of whom were recent university graduates participating in an ACS professional education scheme. My talk went fine, although it was less conversational and more lecture style. It also spent more time than planned on Scrum 101. At the conclusion the crown signed their attendance sheets and cleared out. 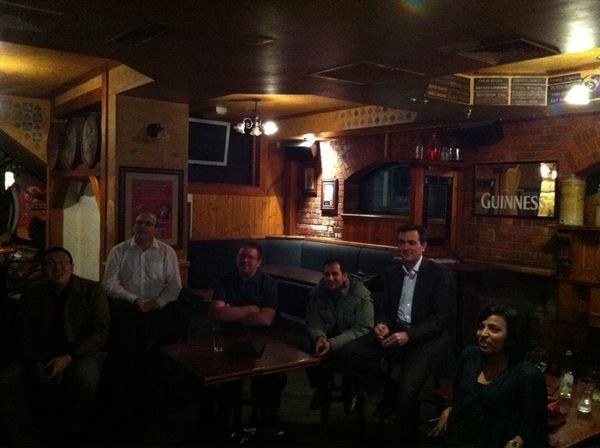 I did get to briefly meet some of the Melbourne Agile personalities which was good. I skipped the following session, which Geoff organised. It was a presentation by Ralph Hughes on his BI and data warehousing book (Agile Data Warehousing: Delivering World-Class Business Intelligence Systems Using Scrum and XP ). 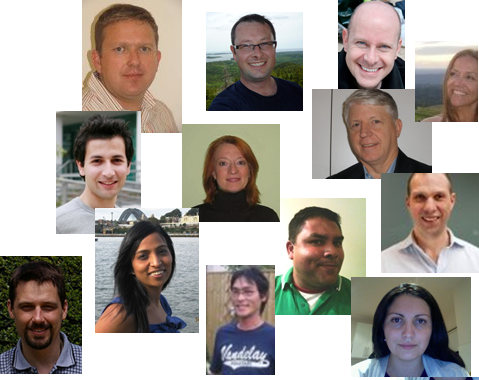 The following month I asked Reg de Silva, a prominent BA in the agile space to come along and present some stuff on breaking down User Stories. Like me he found the audience in search of the Scrum 101 stuff and regressed his presentation to basics around user stories. On the plus side we got more than 100 people coming along to the meet-ups. On the down side there was very little interaction and all the sharing was coming from a committed few. Around this time I was meeting with Geoff and talking about how we needed to expand the inner circle so that he and I didn't become the points of failure. Communities that rely on one or two central figures can get the crowd to drink the kool-aid, but as we all know, that can lead to problems, including dogmatic followers to a blinkered view of the world, burnout and a lack of sustainability. What could we do to relive ourselves of the burden, and to increase the value we would get from the interactions with this fledgeling community. In response to our success we changed the format. We held the next session at ACS headquarters, which were conference rooms rather than theatre/lecture rooms and we dropped the focused presentation led agenda. Instead we held round table discussions. The change in focus attracted a few more experienced practitioners who have stuck around, and over the following months created exactly what I was looking for in the beginning; a group of peers who come together and share knowledge and war stories. We followed that session up with a similar session, but instead of me leading a facilitated discussion we got Brett Maytom in to do a session on User Stories, with the intent to follow up a brief presentation with a story writing workshop. We ran out of time for the workshop, as Brett usually gets engaged in lively question and answer sessions. While this was going on in one room Geoff and I were in the next room plotting out how we could amplify the attraction of experienced people into this community. The numbers were still high, but now closer to 30 or 40 rather than the massive numbers earlier in the year. And the bulk of people were still graduates seeking education points rather than practitioners. So we booked the next event in a pub. Yes, I admit it was ll me that took us to the pub. I wanted the meet ups to be more social and I wanted to make the content more conversational. So our next session was "lightning talks" and while they didn't really follow that form (they were a series of informal 15 minute experience talks) they really nailed what I was after. And based on feedback, it is what others are after as well. The next meetup was at the same pub where Geoff led us in a requirements game and we followed up with dinner and a beer. And last week Andy Shaw led us in a communications and problem solving game followed by discussions around the Organisational Zoo model that he is involved with. And the number seems to have settled art around 25-30 regular people. It's probably about time to mess with the format again, but right now I am going to try to stand back and let others do the driving. I'll just enjoy going along and participating. One of the great things about this group is the depth of knowledge and diversity of experiences. no matter how much you know there is someone here that can show you a different perspective. Another great thing is that while many people are past or present scrum practitioners, it is less about scrum and more about sharing stories and knowledge. And while advice is often related back to the principles behind the scrum model, there is no dogma. It's a community that believes in many paths to improvement. If you are in Melbourne, come and join us. I'll share the story of the Agile BA meet-up later in the year.